Defined by its large heat output, whisper quiet operation and unrivalled durability the Blue Giant Series has become industry standard over the last few years and can be found in many of the continent’s most established hire fleets. The heater supplies 29kW of heat from a 32a supply with the ability to heat up to four area's from one heater. 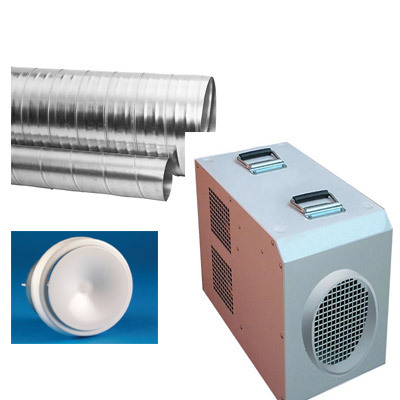 Circular spiral ducting designed for air movement in air conditioning and ventilation systems. Light gauge ridged structure for easy installation. The Model KI Air Supply Valve is designed to supply air at relatively high velocities whilst maintaining low noise characteristics. Adjustment of the airflow is simple, the inner cone being rotated to the required setting and locked in position with a single nut. 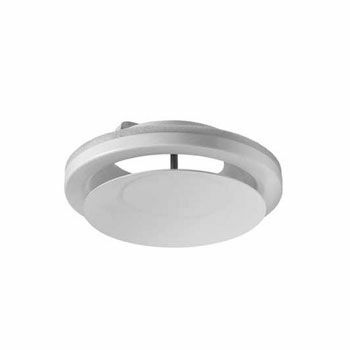 Each air valve is supplied complete with a mounting ring from which it can be simply removed for cleaning without affecting the setting of the valve.